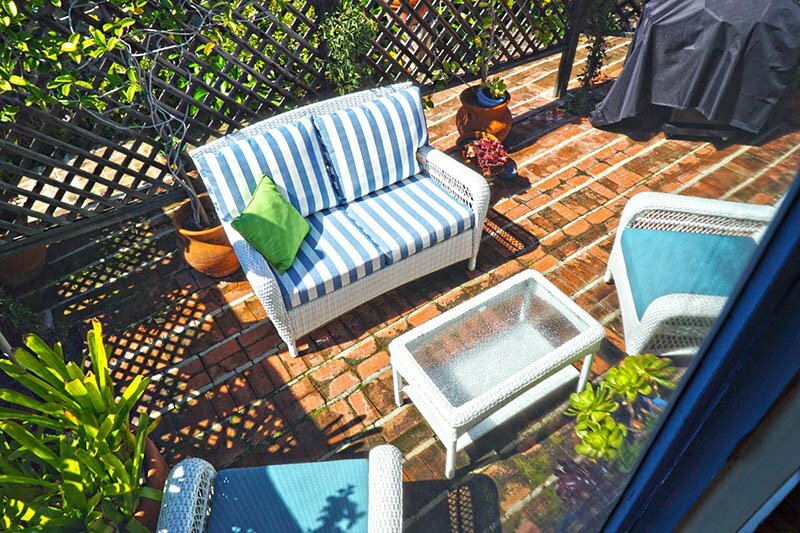 French-style windows open to hummingbirds as they hover around the blooms of the Chinese lantern flowers gracing the brick path. 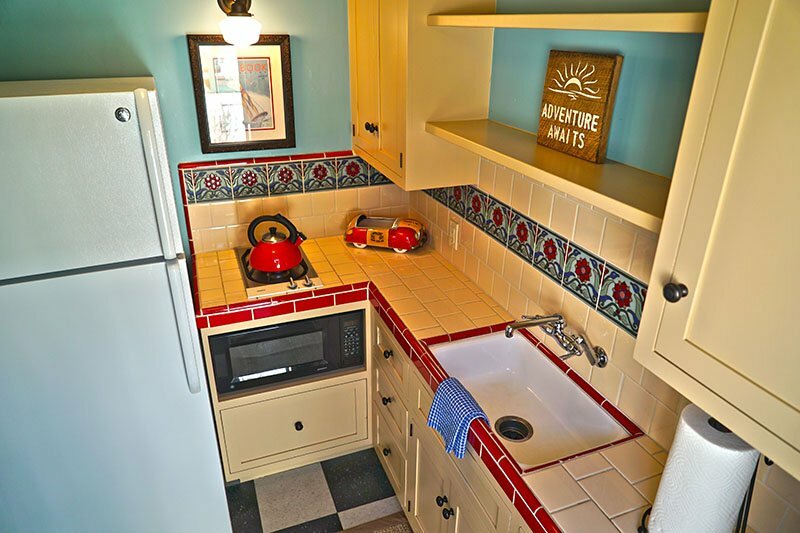 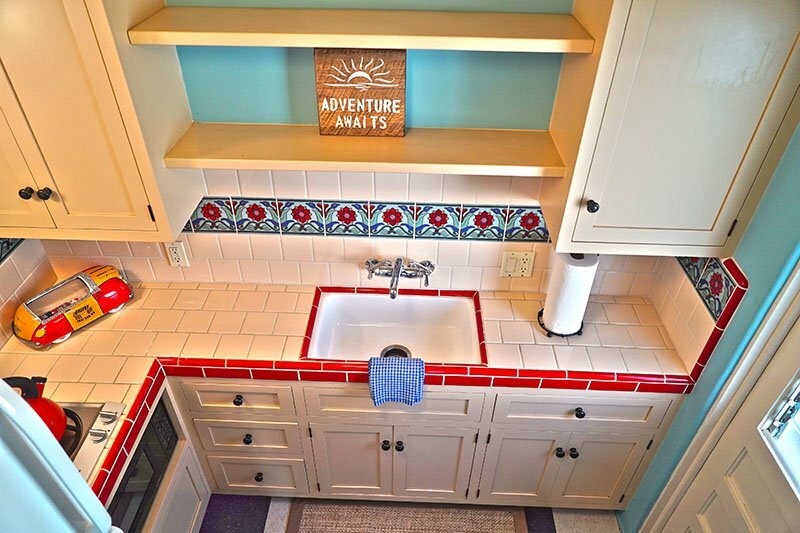 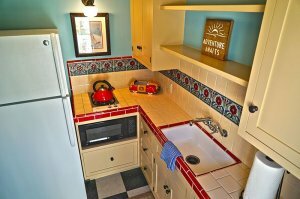 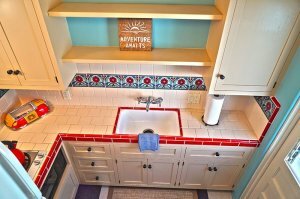 Hand-painted decorative tiles in the kitchen reflect the warmth of bygone days, while the crisp bright and colorful furnishings offer guests a delightful setting to relax and play. 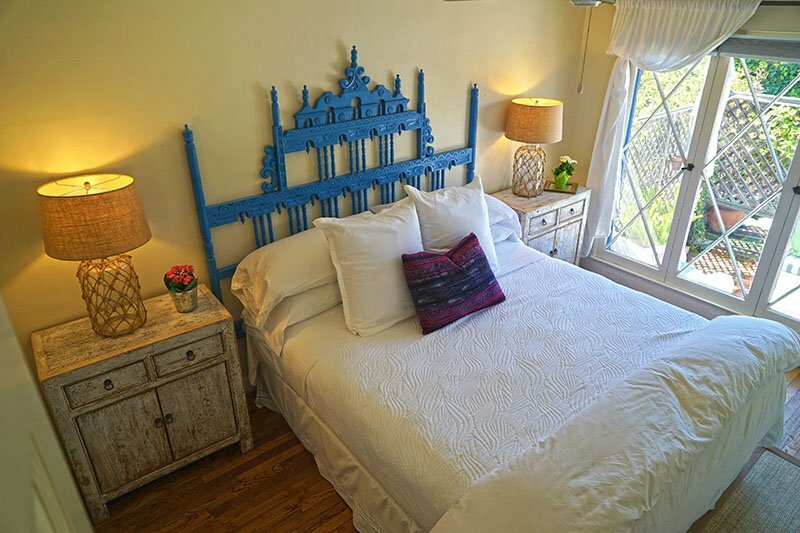 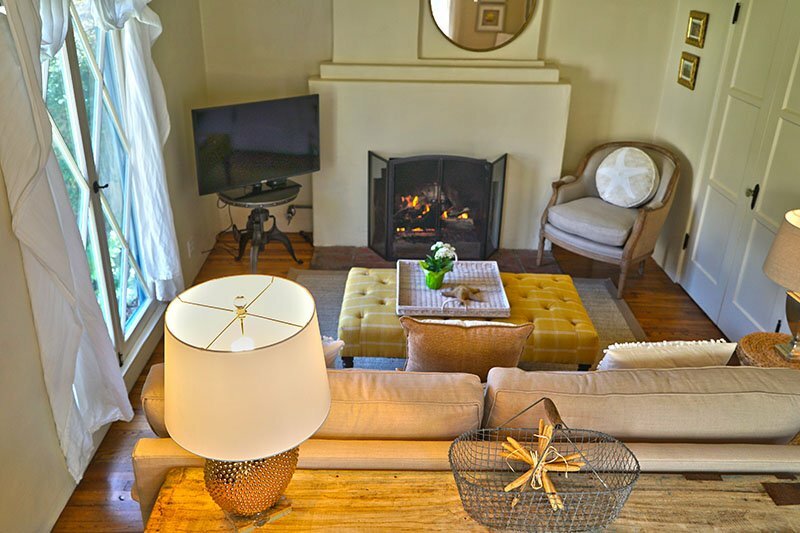 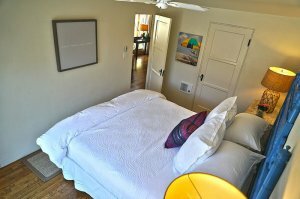 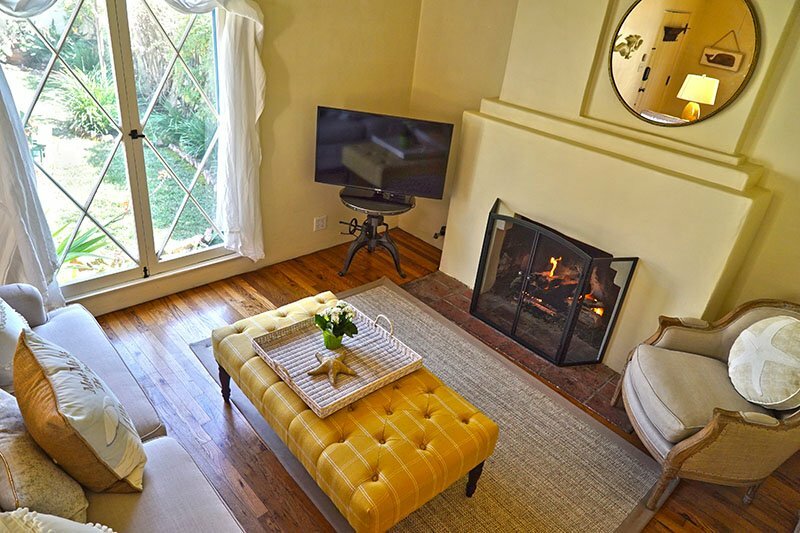 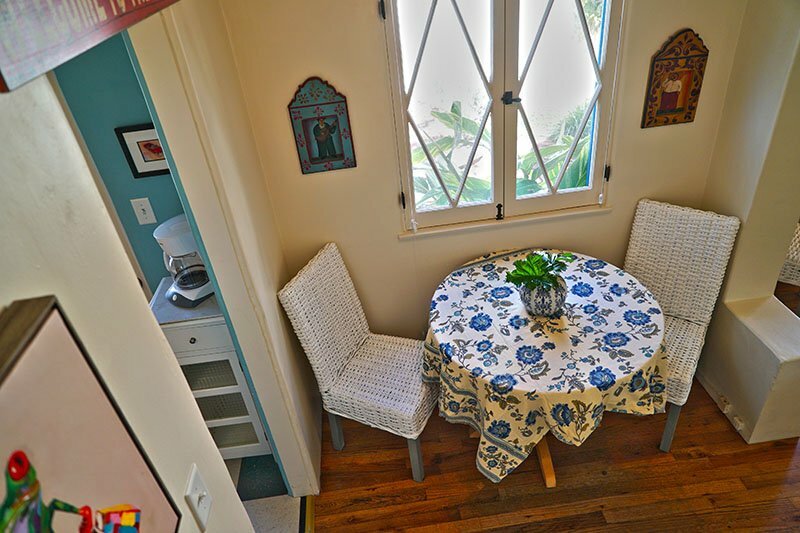 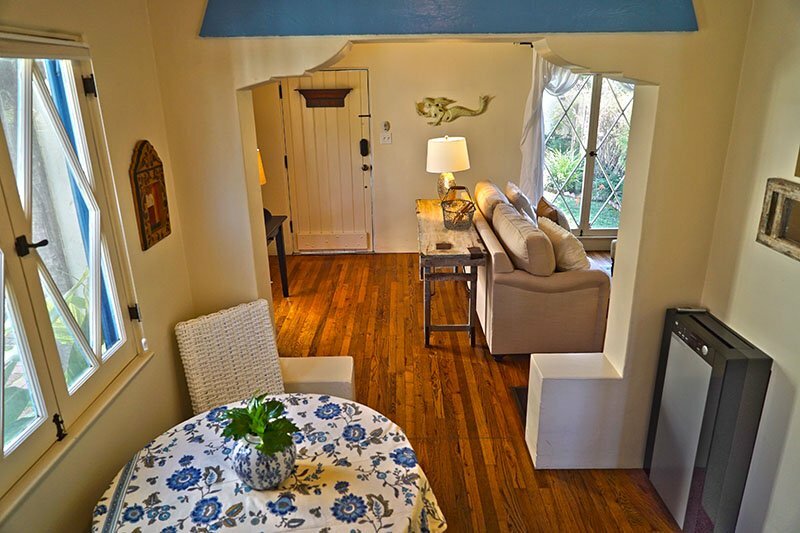 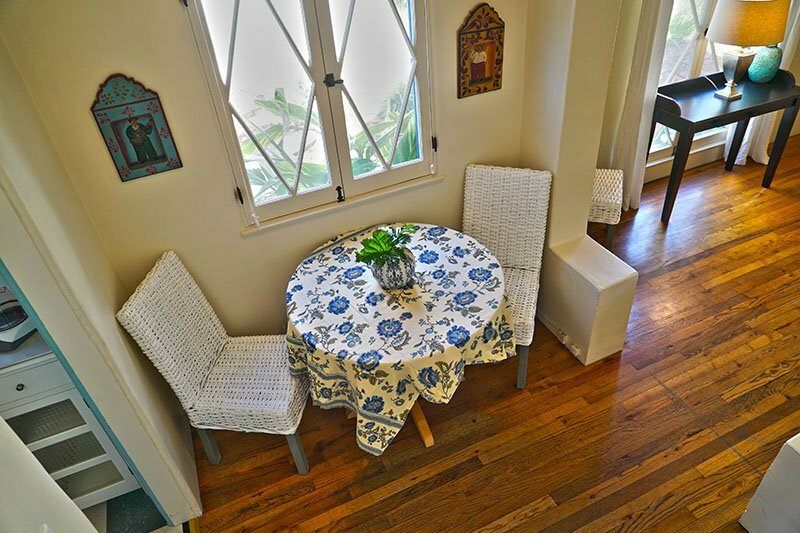 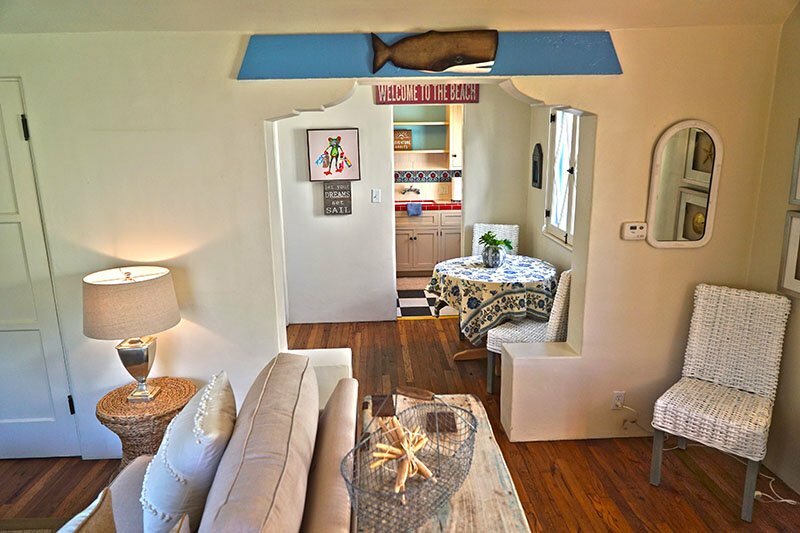 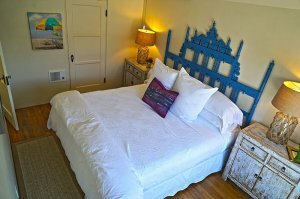 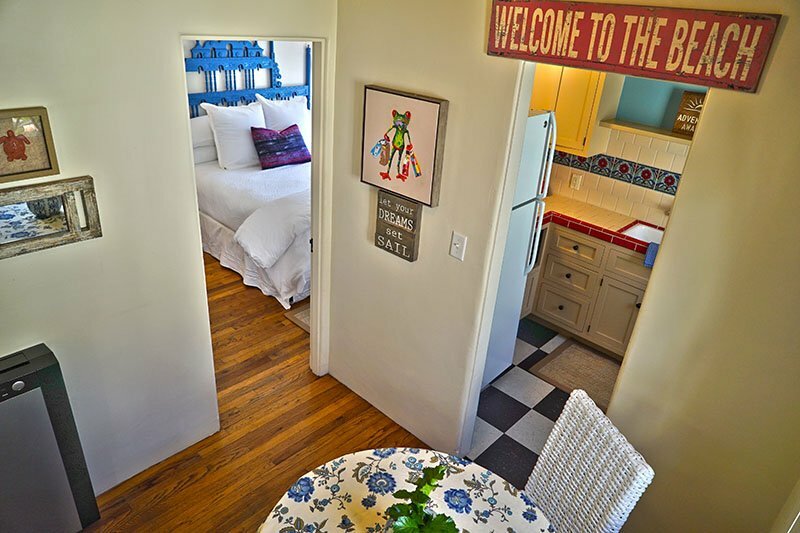 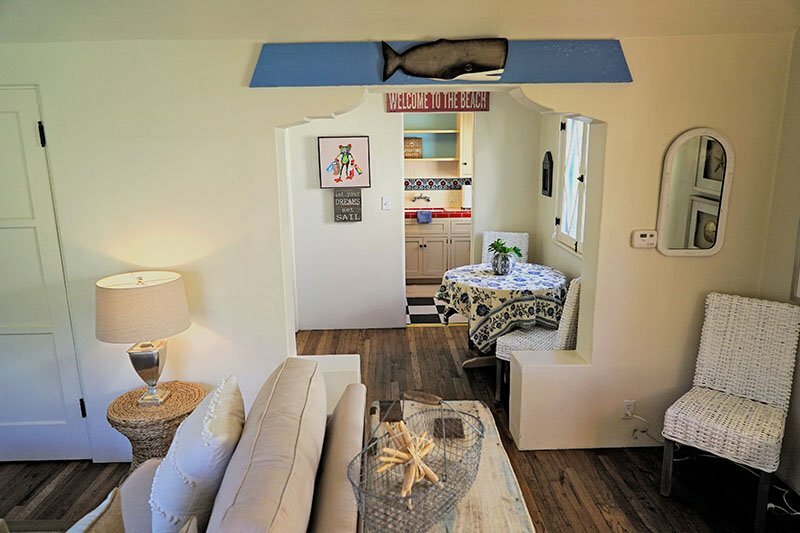 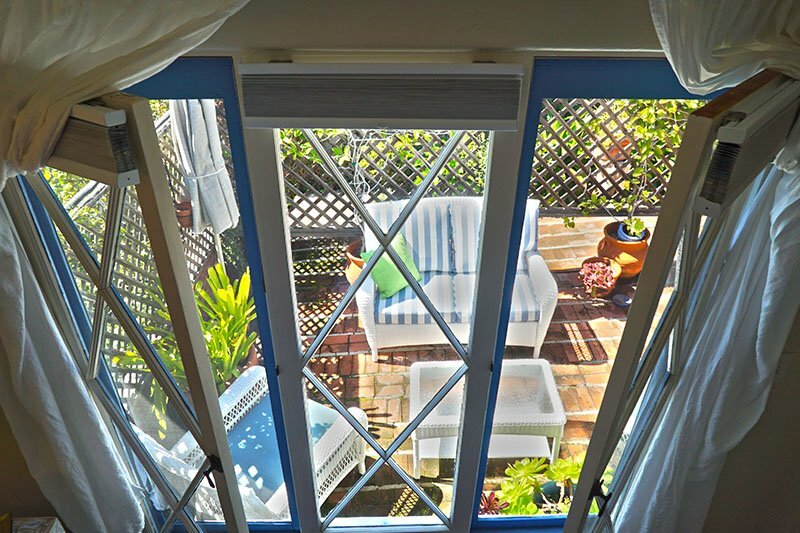 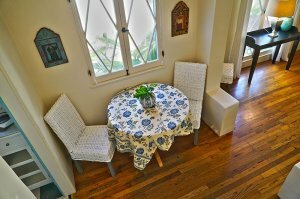 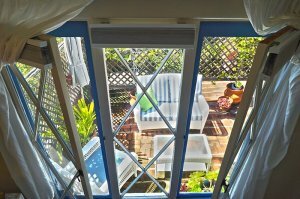 "Manzanita's neighborhood setting makes overnight guests feel like Laguna residents."